This fantastic truck is ready to spark the economy by picking up and delivering four colourful cars. Its "easy-load and lower" ramps provide two levels for the new vehicles. 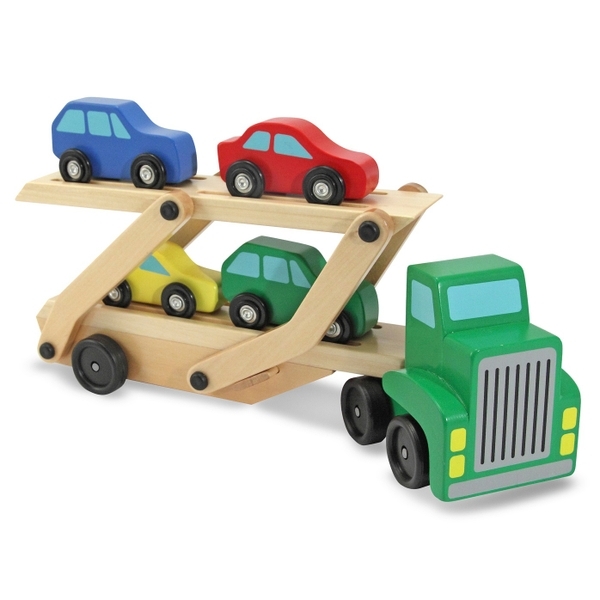 Your little trucker will love "hitting the road" with this wooden six-wheeler!